This sleepy owl is a variation on one of Lorene’s other popular owl crochet hat patterns. Fiona is The Hipster Hat, a free crochet pattern from Cre8tion Crochet that I think may be my favorite. This free crochet pattern can be adapted with the right notions to be a pin or a hair clip. This free crochet flower heart pattern can be made two-tone or a solid color. Crochet leaves can be used for appliques, garlands and more. 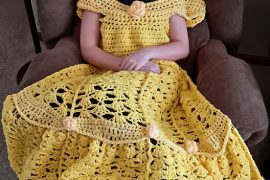 Here’s the free crochet leaf pattern by Cre8tion. I always love a good crochet cloche hat. This free cloche pattern is called the Beverly. This is a newborn crochet blanket pattern done in zebra stripes with a pop of color for the border. Add this Cheshire Cat crochet applique to almost anything. Here’s a good free crochet slippers pattern. This crochet unicorn hat reminds me a little bit of the freeform art hats of Genna Miles. There are two free crochet hat patterns here – one for adults and one for babies. Disclosure: The Dragonfly Dutchess is one of my March crochet sponsors. All opinions in this post are my own and are not influenced by sponsorship. 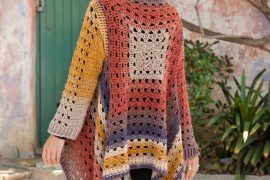 Want to be a Crochet Concupiscence blog sponsor? Get your ad today.